The vehicle was built for Allied nations and was built in Australia. It was supplied to U.S. Forces under a reverse Lend Lease arrangement. 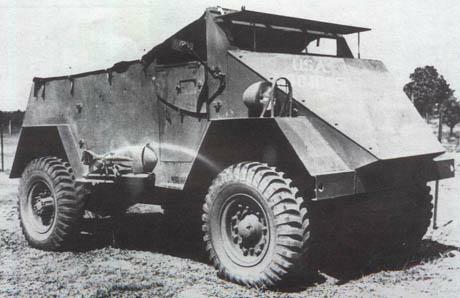 The S1 Scout car was based on a Ford of Canada CMP F15A 4x4 and 4x2 chassis, on to which was bolted a armoured superstructure. The Armoured hull was open topped and of welded construction. A continuous skate ring was added to the inside top edge of the hull to act as a mount for three machine gun trollys. One for the .50 Browning and two for the .30 M1917A1 machine guns. A total of 45 4x2 vehicles and only one 4x4 version.